Siri Eyes Free from Apple allows users to remotely activate Siri from a Bluetooth enabled device like an AppRadio or a car's steering wheel control. Now there is a cheaper option for those who don't have Siri Eyes Free in their cars. It's called Mobile Home and it's small enough to fit in your pocket. 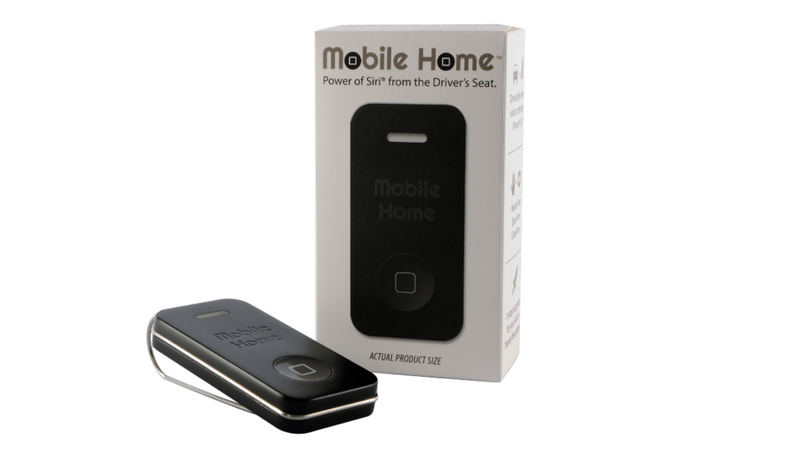 Mobile Home works with any Siri-enabled iPhone or iPad/iPod Touch and requires your car to have factory or third party Bluetooth capability. The device is not a handsfree device but merely a home button for your iPhone/iPad/iPod. It doesn't have a speaker or a microphone. Commands are sent to your iDevice through your car's microphone and Siri's responses are received through the car speakers. To get Mobile Home to work you will first need to pair your iDevice with your car system over Bluetooth. Next, you pair your iDevice with Mobile Home (instructions are included). And you're done. Pressing the Mobile Home button now activates Siri and you can issue voice commands like you would with your iPhone. 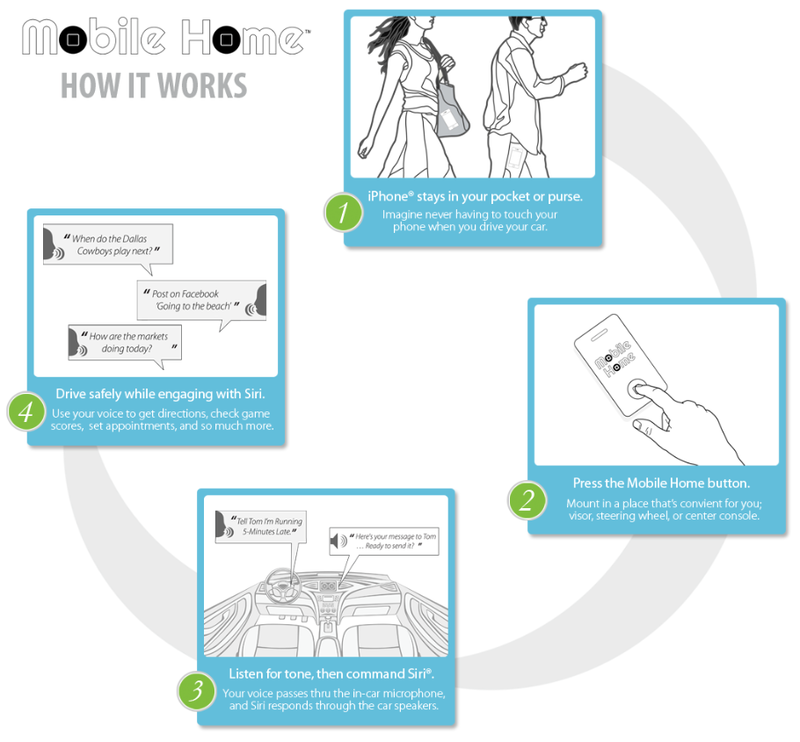 You don't have to pair Mobile Home with your car's bluetooth system directly. 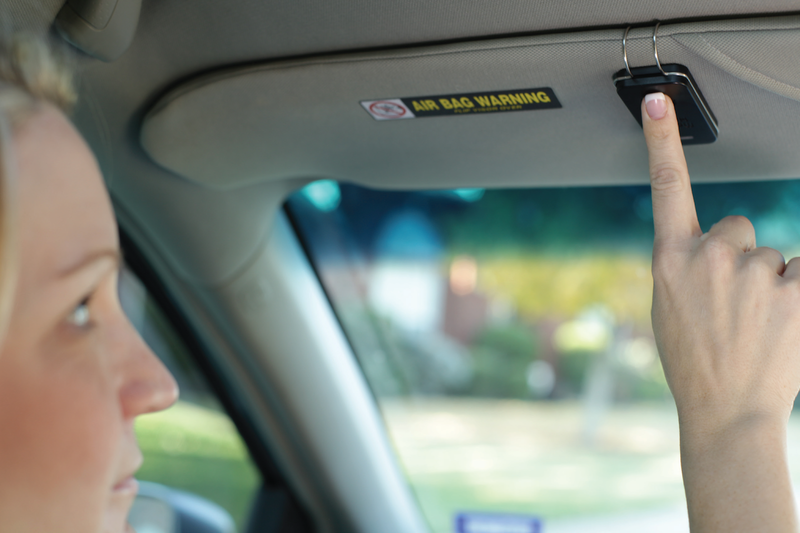 Mobile Home can be mounted on your car's visor, dashboard or driver side door pocket. The device is battery powered, doesn't need to be plugged in. The manufacturer, Beanco Technology, claim the battery lasts for six months after which it can be easily replaced. Visit the manufacturer's website for full details. A product video is below.